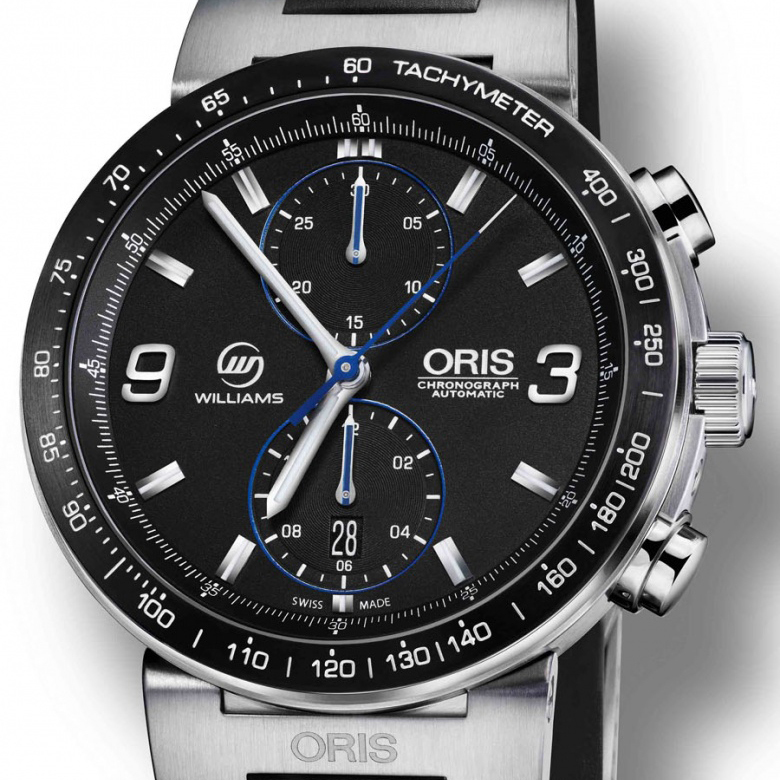 Swiss watch brand Oris has released a novelty Aquis Depth Gauge (Ref. 7675 733 4154), made in the classic style of diving. The model is equipped with a depth gauge. In the sapphire glass at the 12 o’clock position is the aperture through which when immersed the water flows in a round thin channel that corresponds to the periphery of the dial with a yellow dial, graduated in meters. The watch is presented in a round case with a diameter of 46 mm in brushed stainless steel. The watch water resistant is 500 meters. The case is equipped by unidirectional rotating bezel with black ceramic coating. On the black dial are marked with applied steel hour-markers and hands coated with luminescent substance. At the 6 o’clock position is available the date aperture. An anti-reflective sapphire crystal protects the dial. The new Aquis Depth Gauge watch is collected on the base of an automatic caliber Oris 733 (base caliber Sellita SW200). The mechanism is equipped with a frequency of 28,800 vibrations per hour, 38-hour power reserve, as well as the functions of hours, minutes, seconds, and date display. The model comes on a rubber strap or a steel bracelet. To buy a watch will be available in a special waterproof box at a price of 3,500 Swiss francs.